Nicknamed the silver city, Cuttack is located in the vicinity of Bhubaneswar, and hence both of them are often termed as the twin cities of Odisha. Unknown to many, Cuttack is one of the most beautiful places in the state as it houses several natural sites and historical monuments. Amongst history lovers and Hindu devotees, Cuttack is one of the prominent destinations in Odisha. So, how about exploring its beautiful temples this season? As Cuttack is said to have been established thousands of years ago, it houses numerous age-old temples which have been attracting tourists in millions every year. If you are keen on learning more about these significant temples in Cuttack, then here is your read. Cuttack Chandi Temple is one of the most popular temples in the city and was constructed in the early 20th century. 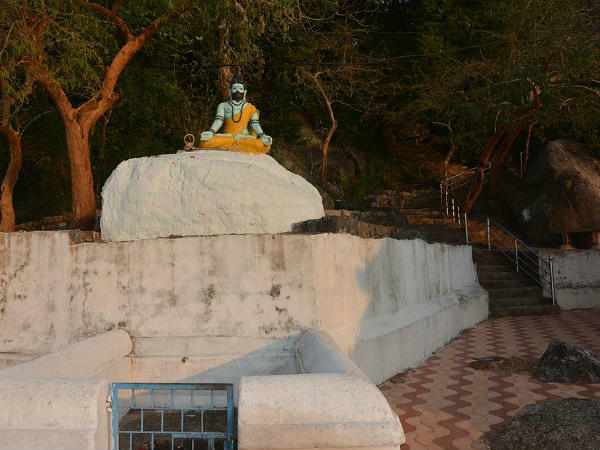 The temple is dedicated to Goddess Chandi, who is the presiding deity of Cuttack, and is located in the close proximity of the beautiful Mahanadi river. Therefore, you can also feel the essence of tranquillity within its boundaries. The temple is also noted for offering its visitors Chandi Bhoga, which is served to devotees as prasad. The major festival here is Durga Puja, which is celebrated with great zeal and zest. Every year, the temple is visited by tourists and Hindu devotees in thousands. If there is any temple in Cuttack which can provide you with unique travel experiences, then it is certainly the charming and marvellous Bhattarika Temple. It is located atop a small hill in the midst of the Mahanadi river and offers panoramic views of the surrounding region. The temple is dedicated to Goddess Bhattarika, who is considered as a form of Goddess Shakti, and is believed to be the site where Lord Parashurama attained divine power to heal himself after he was defeated by Sahasrajuna. Therefore, you can also find a beautiful statue of Lord Parashurama here. If you are looking forward to savouring the best of divinity and serenity, then do visit this ancient temple. Dedicated to Goddess Chamunda and located on the outskirts of Cuttack in a small town named Banki, Charchika Temple is believed to be one of the oldest Shakti temples in the state. As per records, it was established in between the 9th and 10th century. However, the current building of the temple was constructed in the 19th century. The exact reason behind the destruction of the original temple is still unknown. As the idol of Goddess Chamunda placed inside the temple is said to have been built by Lord Parashurama himself, the temple is of great religious importance and is also considered as a pilgrimage site amongst followers of Shaktism. Built in the Kalinga style of architecture in the 14th century, Dhabaleswar Temple is dedicated to Lord Shiva and is located at a distance of about 20 km from the main town of Cuttack. It is constructed on a small beautiful island in the Mahanadi river, and hence it attracts hundreds of photographers every year, who come here to capture the scenic surroundings of the temple. It is also noted for its wonderful stone carvings. The major festivals celebrated here include Shivratri, Kartik Purnima and Dola Purnima. An annual fair is also organised around the temple in the months of October and November. Another temple in Cuttack that offers godliness and composure, Madhava Temple is dedicated to Lord Vishnu and is known for its commendable mythological images which are carved on the walls of the temple. Therefore, it is a must-visit temple for architecture enthusiasts. Another attraction of the temple is the ancient idol of Garuda. The temple is said to have been built several centuries ago, and hence it is an important religious site in the city.